On March 20th, Germany experienced a partial solar eclipse that put its grid to an unprecedented test. Our experts tweeted live from Germany while the German grid stayed stable and provided proof it was ready for the future. When a partial solar eclipse passed over northern and central Europe on March 20th, it caused solar radiation to drop by up to 75% in Germany between 9.30am and 12am (GMT +1). Experts expected this event to be a major test for grid stability, as solar power output, which contributes up to 25 GW on sunny spring days, rapidly ramped down and up again within two hours. ISE Fraunhofer has different scenarios for the eclipse – their severity depended mostly on the amount of overcast. In reality, the scenario was close to the worst case, as it was a sunny day in Germany. As it was sunny in almost all of Germany on that day (especially in southern Germany, where most PV is installed), the minute-to-minute power gradient hit up to 700 MW/minute. 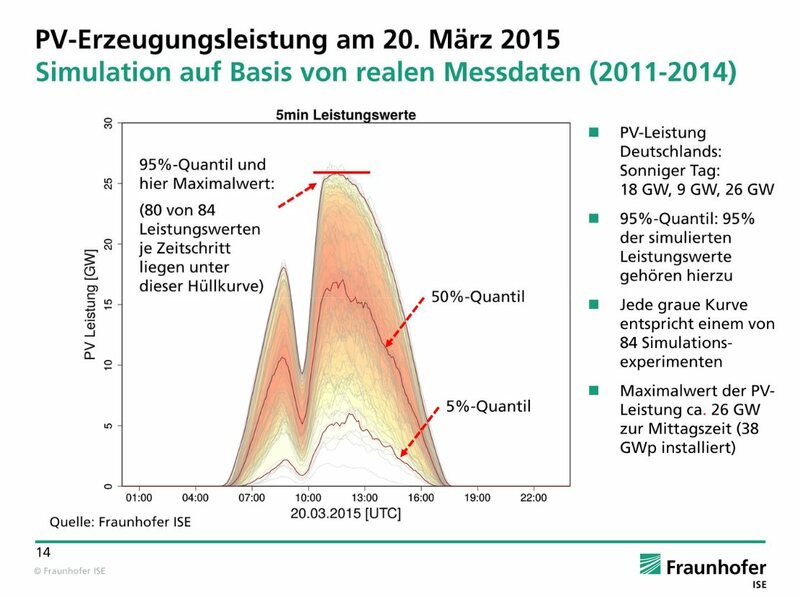 While a study by ISE Fraunhofer (German PDF here) projected that the grid can deal with such fluctuations, the situation was still exceptional: The speed of change in power production was a first for grid operators, who had taken according precautions. As global PV power production will only increase in the future, Germany’s successfully managed solar eclipse provided us with a glimpse into the future of flexible power production and the technical challenges that go along with it. And then it began: Solar power production declined and thus grid operators had to make sure to balance the solar power going off grid with other power plants. Around 10.40am, the moon reached the maximum coverage of the sun over Germany. What followed was the most challenging part of the eclipse: Ramping down power plants just in time with up to 700MW of solar power coming back on grid per minute. As expected, this caused some minor fluctuations in the mains frequency, but grid operators handled the balancing act effortlessly. No power-outages were reported anywhere in Germany. Next PostDon’t call it a coal phaseout!